The library is a member of the Illinois Heartland Library System, which provides access to approximately three million books and 525 libraries (public, school, and special). The catalog is available online and may be accessed from any computer with Internet access. HHS students are able to access book from other libraries. Books are delivered Monday, Wednesday, and Friday. The library has four computer dedicated to searching the online catalog. 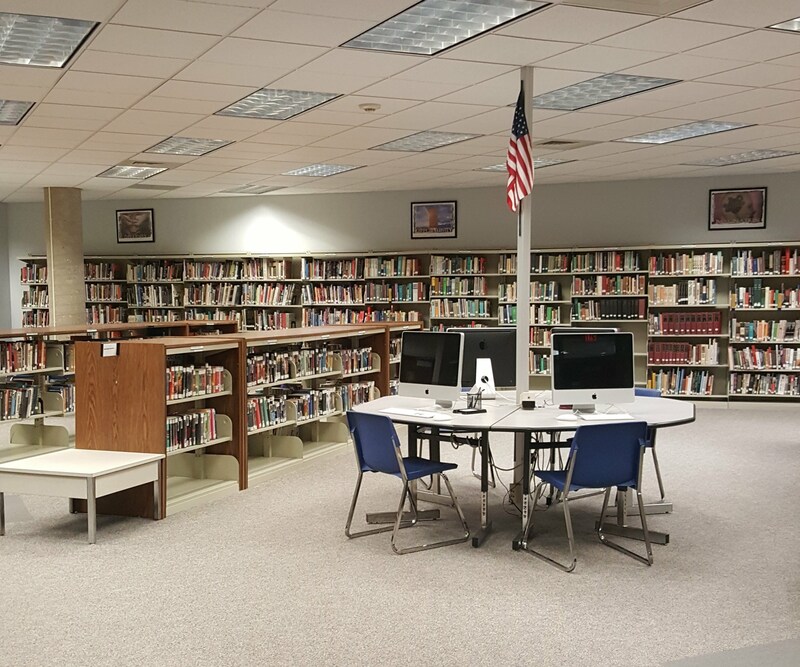 HHS Library has approximately 10,000 books, access to several electronic databases, and provides three newspapers (Belleville News-Democrat, Highland News-Leader, and St. Louis Post-Dispatch) and print subscriptions to 35 magazines. Students must have their ID for checkout. They are allowed three books for checkout unless more are needed for research. Books may be renewed online or taken to the library for renewal. The library does not charge fines unless the book(s) are not returned at the end of the school year. Students will then be charged for the book. The library staff is available to you to assist you with your instructional and recreational interests. Please feel free to stop by the library for help. We are always happy to help. The library book club meets four times a year after school in the library. Miss Richardson is excited to begin her first year as the district librarian. She recently graduated from the University of Illinois with her Masters in Library and Information Science, and she also has her Bachelor of Arts in English from Southern Illinois University Edwardsville. In her free time, Miss Richardson loves to read, and Harry Potter is her favorite series. She also enjoys traveling, riding her bike, hiking, and watching baseball.